Ready to take the plunge into home ownership in the La Grange, IL area? Nancy Miller is here to help you with three areas of action to take before you dive in. Most experts agree on many steps to take prior to home buying, but too many of them can get overwhelming. So Nancy Miller has broken down all these steps into three areas of action–knowing where you stand financially, getting pre-qualified, and forecasting your financial outlook as a homeowner. Savings: depending on your risk-tolerance and your lifestyle, you should have between $500 to $1000 in a liquid, emergency fund account. Even better, try to put away 3 to 6 months worth of bills should something happen that might hinder your ability to work (job loss, injuries, illnesses, etc.). In addition, you’ll be in a great place to buy with a 20% downpayment put away before you move on to any of the other action areas. This alone could save you about $100 per month in mortgage insurance. Debt: How much debt do you currently have? Are credit card bills and student loans eating up your budget? Eliminate them as quickly as you can, even if you have to tighten up your spending for a while. Always pay more than the minimum monthly payment. Not everyone knows that most of their minimum monthly payments go to interest and prevents them from paying off the principal. A common trick is to work on paying off the smallest balances first and then applying this monthly amount you were paying to the payment you were already making on the next highest balance and so on. It’s an easy way to simplify all those monthly payments and to feel a sense of accomplishment as you eliminate one debt after another. Budget: As you work to pay down your debts, be sure to take a look at your current budget. There are plenty of free resources on the internet to help you plan your expenditures, and also to track them. Or you could set up a simple spreadsheet designed to subtract what you spend from what you earn. 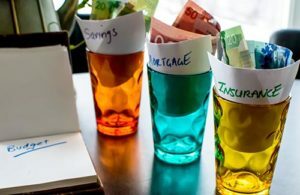 Then you can look for places where you might be able to cut back in order to put a little more towards debt or savings. Also, if you don’t currently use a budget, try setting one up, and then tracking what you spend your money on. Simple changes like cooking at home instead of eating out or trading in your new car with a big payment for something used (for which you can pay cash) for a while can make big differences and get you to home ownership faster. Credit Score: With identity fraud rampant and credit reporting companies battling hackers, it is even more important to keep a close eye on your credit score. Start by finding out where you stand now. Lenders and realtors consider 720 to be a “good” score. But you will get the best rates on a home loan if your score is in the “excellent” range: 750 to 800. How is my credit score calculated? Your credit score is based on a combination of how much you owe, how long you have had credit, how many active accounts you have, your on-time payments, and how many inquiries into your account there have been (how much credit for which you have applied, in other words). So be sure you pay all your bills on time–especially your utilities and phone bills. Find an issue? Get it fixed as fast as you can. Obtain your credit report for free once a year by contacting the three major credit reporting agencies: Equifax, Experian, and TransUnion. Your scores may vary between agencies slightly, but you will be able to see if you are in that 750 to 800 range and why or why not. You can request these reports directly from the each company, or streamline the process by going to AnnualCreditReport.com. It will then be up to you to contact the creditors listed to correct any issues. Getting pre-qualified for a home loan will give you a very good idea of how much home you can afford, and if you can get approved in the first place. Shop around for a lender or, contact Nancy Miller’s preferred mortgage banker, Jill Diethelm. And be prepared–getting pre-qualified will bring up a number of questions that only you can answer. How much house can you afford? While lenders will take a look at the areas you have already researched above like your credit score and your debt to income ratio, you will need to look at the number they give you with a critical eye. In addition to your mortgage payment, you also need to factor in things like homeowner’s insurance and property taxes. If you have been renting, you may experience sticker shock when faced with the larger utility bills that come along with a house. Also, you will be solely responsible for the cost of maintaining and repairing your home. Many homeowners pay anywhere from $2000 to $10,000 a year in maintenance alone. What is the average price of a home in your area? It is also important to know how much the average home in your area costs. Nancy Miller and Coldwell Banker present monthly market updates to keep you informed. For a quick example, in March of 2018, the average listing price for a home in La Grange, Illinois was $379,000. The average sale price was $350,000. This certainly does not mean you need a minimum of a $350,000 loan to find a home in the La Grange, IL area, but it does give you a general idea of how much of that pre-approved home loan you can spend, depending on what type of home you are looking for. What type of loan will work best for you? Especially if you are a first time buyer, there are many programs that will help you get into the housing game, even if you don’t have your 20% downpayment saved. Your mortgage lender can also recommend a program that will work best for you. Oftentimes your lender can find programs that may cover some or all of your downpayment, freeing up cash for those other expenses that can and will come up when you purchase a home. Your lender can also help you decide between fixed rate and adjustable rage mortgages, as well as the terms of your mortgage (15 years, 30 years, or something in between). Again, be smart about your financial situation now and what you think it may be in the future. Learn from the history of the Recession, and play it safe. Which expenses will go up? As previously mentioned, if you are going from renting to owning, you may be surprised. While your mortgage payment may be less than your rent, homeowner’s insurance, property taxes, homeowner’s association fees, utilities, and maintenance will probably increase. Other unexpected expenses may be something like the cost of commuting, if you are moving farther away from work. What about childcare, if you move farther away from family who are happy to watch your kids for free? 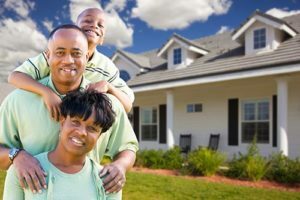 Be sure the extra payments work within your current budget, or you may find yourself “house poor,” which is no fun at all. How much of my savings will go into the downpayment and closing costs? Hopefully you have saved up a 20% downpayment to offset your mortgage payments and obtain a lower interest rate. In addition, you will probably pay between 2% and 5% of the cost of your home in closing costs. Avoid hidden surprise fees by talking with your realtor and your lender before you get to closing day. And don’t forget to have money ready for home inspectors ($500 or more) and appraisers ($300 – $400) throughout the process. What will you need to/want to repair or update right away? What can you live with for a year or two? Not crazy for the color of your walls? Prefer hardwood floors to carpet? Your new home is your blank canvas. However, be sure to keep in mind any items from your inspection report such as the age of your water heater or roof. Some things may have to wait a year or two while you take care of any issues that could cause serious (read, costly) damage to your home. How much will I need to save or put into escrow to pay my property taxes and insurance each year? Your lender can certainly help you with this question. So be sure to calculate the annual amount and divide it by 12, so you know how much to save each month. How can I estimate the cost of my utilities and services? You can contact the utility and city service providers directly and ask for a report of the past 2 or 3 years showing how much the bill for your property was. You can then plan that into your budget and be sure not to be caught unaware each season as the utilities fluctuate. So you have your financial house in order and a lender who has helped you identify how much you can spend on your new home. Now you need a realtor with local expertise to help you get the most for your money. Enter Nancy Miller, Realtor with Coldwell Banker. A long-time La Grange, IL resident with over 25 years of experience in the market, you couldn’t find a better partner. Let Miller move you!